President al-Sisi Thursday issued permission to ruler of Kuwait, Emir Sheikh Sabah Ahmad Al-Jaber Al-Sabah, to own land property in Egypt, second foreigner to do so after the king of Bahrain. The Egyptian head of state signed a presidential decree allowing the Kuwaiti ruler to own 163 acres in Sharqia province, according to the official gazette. 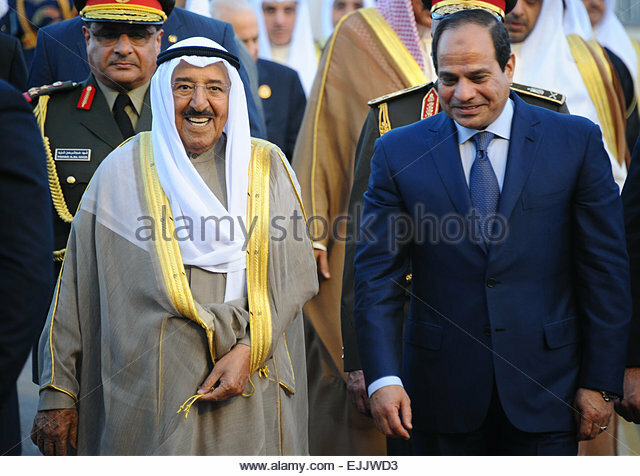 The decree also points out that Sheikh Sabah Ahmad Al-Jaber Al-Sabah is considered as Egyptian citizen and therefore has the right to own property, in reference to Law 143 of 1981. Egypt applies tight restrictions on the ownership of land and properties by foreign nationals. The decree was released because Egyptian law restricts land and property ownership rights, in Sinai, to Egyptians born to Egyptian parents and who have no other citizenship, Al-Masry Al-Youm reports. Al Sisi himself, while he was the country’s defense minister, during the short rule of democratically elected President Mohamed Morsi, was the initiator of the law, which restricts ownership of land in the Sinai to Egyptians, Al-Masry Al-Youm adds.